Looking for option to spend some quality leisure time with your partner? 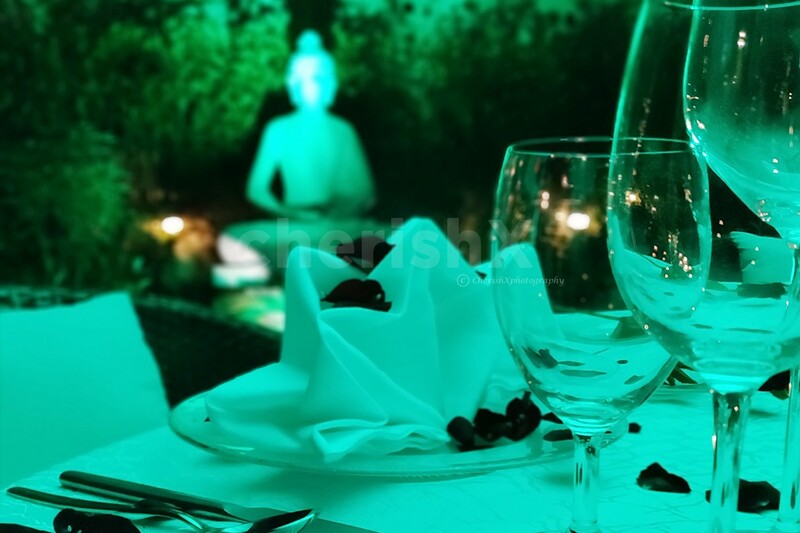 Set out for an alluring trimmed garden dinner in the premises of the renowned Le Meridien. 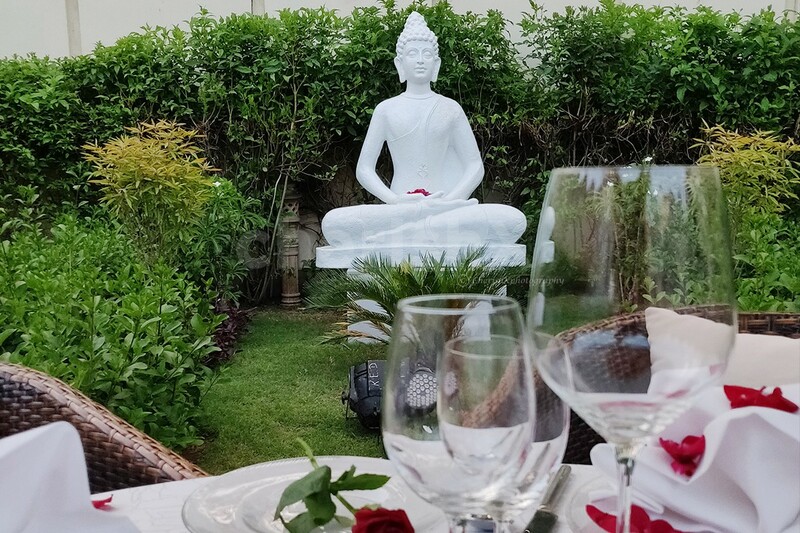 The restaurant has lush greenery tucked away in a beautiful garden, the kind of alfresco outdoor dining you’d want to go for in a heartbeat. A stone’s throw away, towards Amer and Kukas, the location sits elegantly at a distance of 15 km from Jaipur. 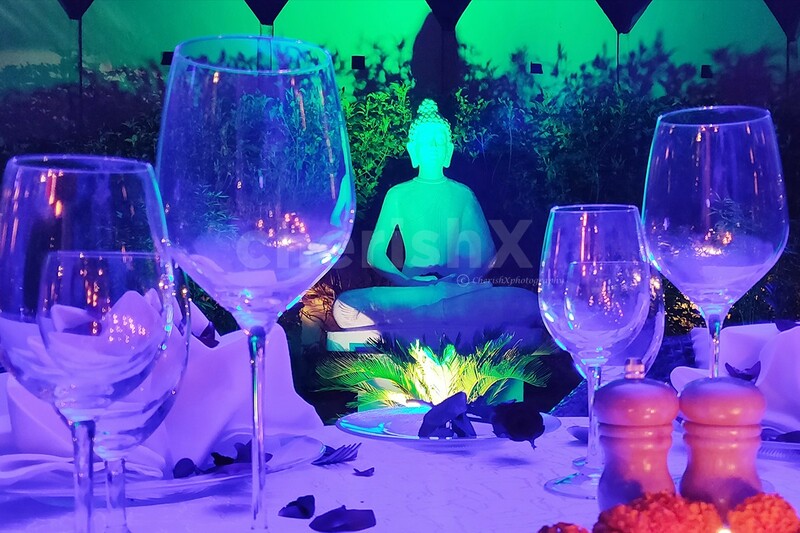 Have fun looking at the high rise mountains and the lush greenery when you head out for the venue. Your host is just a call away, to assist you to the romantic dining place of your evening. Not only the stunning décor, but the scrumptious meal will leave your loved one awestruck. A private butler would be serving delicious contemporary comfort food set in a casual and relaxing setting. Feel free to choose among choicest Indian cuisine, be it veg or non-veg. The space gives off a lovely rustic charm along with numerous rose petals and candles bound to please nature lovers.